Ironically, studies show saying “I’ll never do that again” makes you even more likely to do that again. 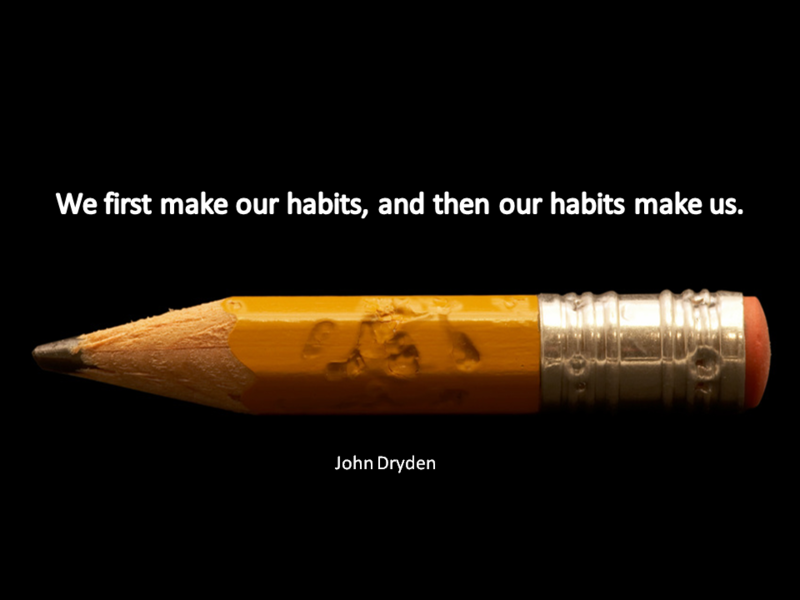 About 40% of the actions we perform in a day are habits. So we’re on autopilot almost half the time. Let’s round up the research on bad habits and good habits and learn the best way to turn one into the other. The first step is awareness. That cigarette doesn’t magically appear in your mouth. Noticing yourself acting habitually is a big first step. We have to get off autopilot to make changes. It might be too hard to cut back on your habits at first. That’s okay. Try reducing the variability in the habit. In other words, don’t even try to quit smoking; try to smoke the same number of cigarettes each day. That little effort toward self-control led to a decrease in smoking over time. Now that you’re noticing when you do your habits, focus on what triggers them. Stress? Friends? Identifying your triggers is key. Getting rid of habits is hard. Assigning new habits to established triggers is far easier. What are you going to do now when that trigger arises? Establish something new to take the place of the old habit. Use baby steps, focus on consistency above all else and reward yourself for “small wins“. Savoring these little achievements day by day is one of the reasons behind the effectiveness of Alcoholics Anonymous. Don’t rely on willpower. The importance of self-control is one of the biggest myths about habit change. Instead, manipulate your environment so you don’t have to exert self-control. Throw out the donuts. Hide the booze. This has been shown to be surprisingly powerful. If you can make good habits take 20 seconds less time to perform and bad habits 20 seconds longer, you’ll likely see big changes in your behavior. Reminders to do the right thing (like signs or even text messages) can be a big help. And context isn’t just the inanimate objects. Friends are one of our biggest influences and can be a potent tool for habit change. The research says these are some good daily habits and these are solid weekly habits. Best books on the subject are The Power of Habit and Willpower. I highly recommend them both. « What are the best books about happiness?